The one thing we knew with certainty about our children was that they would grow up to be readers. My husband, Daniel, read all 24 volumes of the World Book Encyclopedia for Children, acquiring a lifetime’s general knowledge by the age of ten. I read every book ever written about a horse, and when I had read them all, I read them all again. He read The Hardy Boys. I read Nancy Drew. He read Old Yeller. I read Harriet the Spy. We were regular kids who liked to play baseball and throw jacks, but our greatest pleasure was to be alone, yet not alone—to be reading. When our first child was conceived, we waxed sentimental about the library we would build for him. We collected books during the pregnancy—books to touch, books to chew, books for the bathtub, The Gulag Archipelago. Until the day when he could read Solzhenitsyn's masterpiece, he could gnaw or shred it. At night, in bed, I read to him in utero. "So they had to take Ferdinand home. And for all I know he is sitting there still, under his favorite cork tree, smelling the flowers just quietly. . . ."
Yehuda was born minutes after I arrived at the hospital, and his impatient birth set the pace for the years to come. Yehuda ran, leapt, rolled, and dove his way through childhood. For him, there was only one quiet activity: sleeping. Yet just before bed there were a few precious moments, before his eyes closed for the night, when we cuddled together and read, "Goodnight room, goodnight moon." Ariel was born two years later. While he could go head to head with Yehuda on the playground, he also played imaginatively with superheroes and dinosaurs. Ariel loved to be read to as well. He laughed with Curious George and grew wide-eyed at Captain Hook. For him, the border between reality and fantasy was a porous one; just as his play took flight into fancy, the imaginary world of books entered his reality. If Robert was followed home one day by a hippopotamus in The Boy Who Was Followed Home, it was natural that Ariel should glance periodically over his shoulder to see what beast might be trailing him. My daughter Chava was born three years later, and while she inherited a share of the boys' library for future use, she was initiated immediately into the family's ritual of bedtime reading. By the time she was two, we were making regular trips to the library, during which I enticed my children with titles and illustrations while they chased each other, squealing, up and down the aisles of books. Yet I was undaunted. Although my children, between the ages of two and seven, did not prefer reading to balls or dolls, they possessed a sizable library and were literate in Winnie the Pooh and The Berenstain Bears. I felt there was hope for their reading future. By the end of grade one they all learned to read. I anticipated the day that I would become superfluous, when they would insist on reading the books themselves. But that day did not come. Perhaps it was the effort of early reading, the painstaking sounding out of the letters. Perhaps it was the intimacy of curling up with us in bed, which they would not exchange for the solitude of reading solo. Whatever the reason, they continued to insist that I read to them. I stocked the house with early readers in English and Hebrew in the hope that they might pick one up and take a stab at it. I made reading charts and hung them on the fridge and offered stars and stickers for the books they read. They could not be persuaded. The books on my lap kept piling up, books for me to read to them. I imagined them in their thirties sitting at my feet as I read them Pride and Prejudice. I consoled myself that reading to them was still better than no reading at all. Perhaps I just needed to be a little more patient. 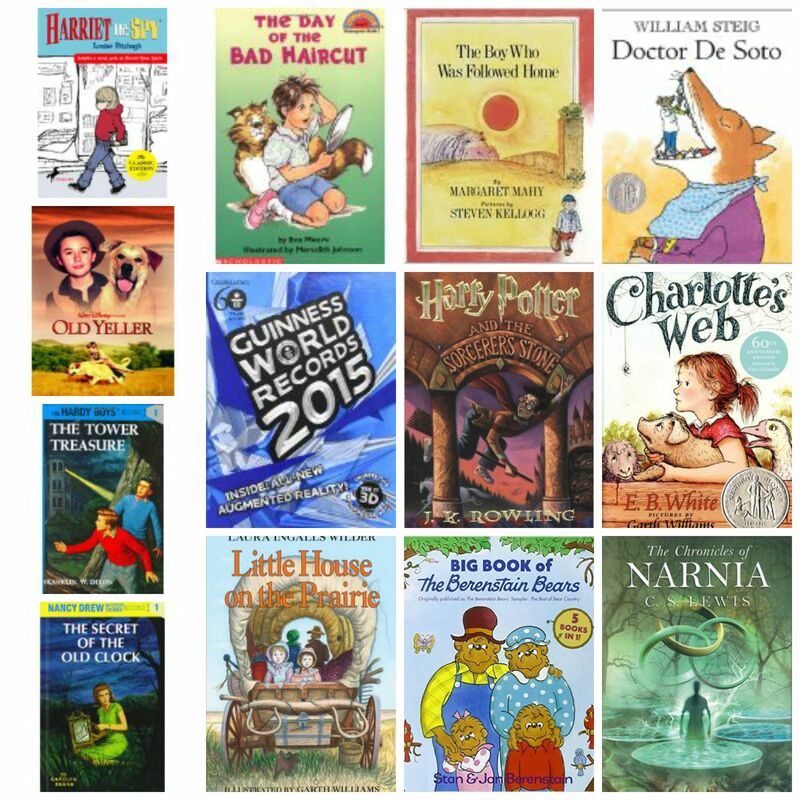 After all, children find their way into reading at different ages. Moreover, my children were bilingual; they spoke English at home and Hebrew in school. Perhaps the demands of a dual-language life hampered their reading fluency. So we continued. When my daughter's hair was cut too short at the hairdresser, The Bad Haircut Day captured her feelings of rage and helplessness. Scary dentists were redeemed by Dr. De Soto, a heroic dentist mouse who outsmarts a fox that plans to eat him during his dental treatment. Alexander and the Terrible, Horrible, No Good, Very Bad Day taught us that sometimes things just don't go our way. Even in Australia. "All I could do was guess, aim and hope for a hit. I pulled the trigger," I read. Then I closed the book. Travis' shot was the only thing that could save Old Yeller from the rabid wolf. "What happened?" asked Yehuda. "Well, you'll just have to read it yourself to find out." He threw his blankets, punched his pillow, and howled. I finished the story. Two of my children were school-aged and not yet reading independently. Their teachers assured me there was no reason for concern, but I envisioned them far in the future, illiterate, packing crates in a factory. The situation called for radical action. I declared that I was no longer reading stories to anyone. They were inconsolable. I reasoned that if I stopped reading to them, they would read by themselves. But the books lay unopened on their shelves. I became more anxious, more desperate. I paid them to read: fifty cents a book, a penny a page. They had to read for twenty minutes before they went outside to play. I considered harsher measures I might one day have to impose: withholding snacks, confiscating favorite toys, solitary confinement with only a book in the middle of the floor for distraction. They fought back. They told me I was guaranteeing that they would hate reading, permanently. I didn’t believe them. My husband told them ominously, "There are two groups of people in the world: those who read and those who don’t." The implication was that no one would want to be a member of the latter group, no doubt comprised of criminals, drug addicts, and derelicts. Around that time, I brought home a copy of Harry Potter and the Sorcerer's Stone and began to read it to the boys, a chapter a night. It was unlike any other book we had read together. Our hearts broke over Harry's abuse at the hands of the Dursleys, and soared when the letters arrived from Hogwarts informing him that he was a wizard. They couldn't wait until bedtime for the next chapter. "Harry is a hero but he’s also regular, like us," Yehuda said. "Maybe we’re wizards, too," said Ariel. "But we’ll only find out when we’re eleven and Hagrid comes to get us." My husband and I fought over whose turn it was to read. And then the miracle happened. They crossed over. They began to read on their own. In bed on their backs, on the floor on their stomachs, curled up in beanbags, they read the several-hundred-page tomes. I offered prayers of thanks to J.K. Rowling. As my husband put it, our children would be saved. For Ariel, life changed after Harry Potter. Books became his constant companions. For Yehuda, however, love of reading did not go beyond the castle walls of Hogwarts. Oh help, I thought. To accommodate his short attention span, I bought him The Guinness Book of World Records, The Top Ten Everything Book, books of jokes and famous quotations. He picked them up and put them down, picked them up and put them down. He quoted them at the table, which, I had to concede, was better than nothing. Chava was my hardest sell. Because Chava was too young to be captivated by the magic of the Harry Potter years, I could not push her beyond her belief that books were boring. 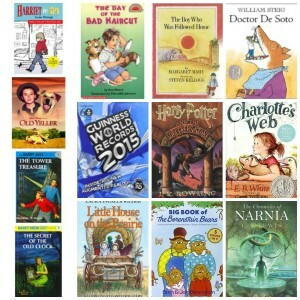 Matilda, Charlotte's Web, Anne of Green Gables, Pippi Longstocking, Little House on the Prairie—I tried them all. Her interest began and ended with Disney Princess Magazine. "How about a book about Justin Bieber?" I suggested. One afternoon, as the four of us snuggled on the teal sofa, worn and stained from years of jumps and spills, I announced that it was time to go to the library. I admit that I lured them with the promise of a can of pop from the vending machine. "Nooo," said Yehuda. "Why do we have to go and why do we have to read books?" "We don’t want to," Chava chimed in. "It’s important," I said. "You learn about the world, you expand your vocabulary, you become an educated person." They looked at me with blank expressions. I knew in my heart those weren't the real reasons. I remembered a line attributed to C.S. Lewis. "We read to know we are not alone," I told them. "Do you know who C.S. Lewis is?" "Was he in Spy Kids?" Yehuda asked, throwing and catching a pillow in the air with his feet. "No, he’s not an actor, he was an author. He wrote The Chronicles of Narnia. It's magical; you guys would love it." "No we wouldn’t," said Chava. "Mom, when are you going to stop bugging us?" Ariel asked. He held two plastic Ninja Turtle action figures, one in each hand, locked in combat. "Never," I said. "I mean it – never." They must have heard the resolve in my voice because they suddenly grew still and looked at me with worried faces. I wish I could make them understand. I want them to know what it's like to find yourself right there on the page, in disbelief that someone else feels or thinks the way you do; to understand the world in a different way because someone has described it so; to sojourn in a foreign country or remote century and know it as if it were your own; to read a sentence so breathtaking, you have to stop, close the book and sit humbly in its wake. It pains me that my children may forfeit this extraordinary experience. That is why I have persisted so ridiculously, so pathetically, birthday gift after birthday gift. It can’t be, I think. I just haven’t found the right book yet. Miriam Mandel Levi lives in Israel with her husband and three children. Her writing has appeared in the anthology, Same Time Next Week, and in Brain, Child and Under the Sun magazines.